Home Jobs & Education How Much Do Ultrasound Technicians Make? 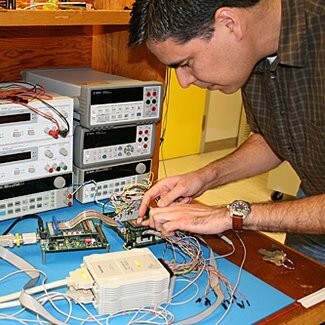 Ultrasound technicians utilize special medical imaging equipment to direct sound waves into patients’ bodies in order to evaluate and diagnose numerous health concerns. 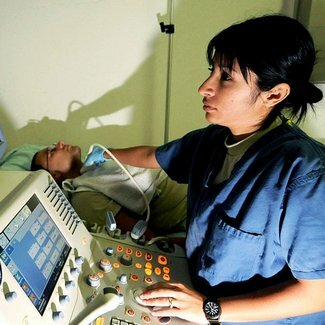 Ultrasound technicians are typically responsible for preparing patients for procedures by discussing their medical history, getting imaging equipment ready for ultrasounds, applying gel to aid with the sound waves’ ability to create internal images, operating ultrasound equipment, analyzing the images to ensure quality needed for diagnosis, recognizing abnormalities, assess images to provide preliminary results to healthcare providers, and maintaining patients’ records. How much does an ultrasound technician make? According to the Bureau of Labor Statistics, the 57,700 ultrasound technicians employed throughout the United States earn an average annual ultrasound tech salary of $66,360, which is equivalent to a mean hourly wage of $31.90. The bottom ten percent of ultrasound technicians earn an average of $44,990 or less, while the top ten percent of ultrasound technicians earn a mean yearly wage of $91,070+. Ultrasound technicians employed by medical hospitals earn $66,390 and those at diagnostic laboratories make $64,340 each year, but the highest paid in the occupation work at colleges or universities for an average salary of $74,940. The top-paying state by far for ultrasound technicians is California, where these medical professionals bring home a mean salary of $84,220 each year. Ultrasound technicians are employed in a variety of healthcare facilities. 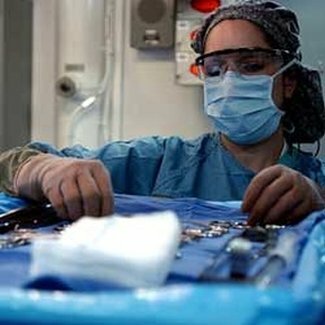 About 61 percent of technicians work within state, local, and private hospitals. However, ultrasound technicians often find employment within physician offices, outpatient care centers, and medical or diagnostic imaging laboratories. Most ultrasound technicians work full-time hours with long periods of time spent on their feet performing procedures at patients’ bedsides, but some technicians may need to work irregular evening or overnight overtime hours in emergency imaging situations. As the ultrasound imaging technology continues to evolve, more and more medical facilities will be utilizing ultrasounds as substitutes for other more costly, invasive, or risky procedures that expose patients to radiation. As the large baby boomer population remains more active later in life, there will also be an increased demand to diagnose medical conditions, including blood clots, cancer, and tumors, with ultrasound imaging. Therefore, employment for ultrasound technicians is expected to grow much more rapidly than the average for all other occupations by 44 percent between 2010 and 2020. How Much Do X-Ray Technicians Make? How Much Does a Radiology Technician Make? How Much Does an EMT Make? How Much Do Nurses Make? + Infographic How Much Does A Surgical Tech Make? 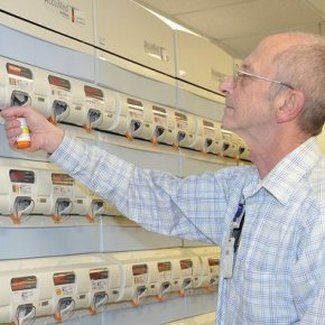 How Much Does a Pharmacy Tech Make? What Does A Medical Transcriptionist Do?